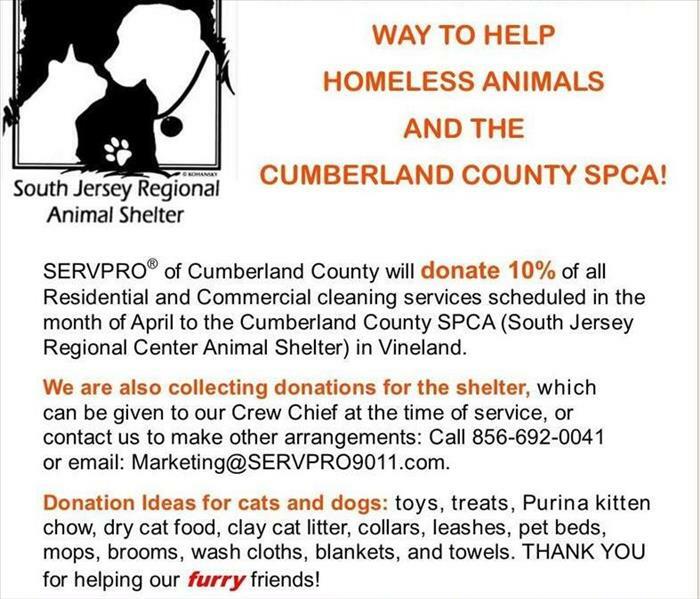 SERVPRO® of Cumberland County takes great pride in being a part of the Cumberland County community. We understand that communities like ours hold America together. We want to do our part to ensure the Cumberland County community thrives by helping those less fortunate, keeping the area safe and making our community the best it can be. SERVPRO of Cumberland County is an American Red Cross affiliate and proudly supports many local charities. we are proud members of the Bridgeton Area Chamber of Commerce, Burlington County Buildings & Grounds, Chamber of Commerce of Southern New Jersey, Greater Millville Chamber of Commerce, Greater Vineland Chamber of Commerce, and the South Jersey Claims Association. Are you an Insurance Professional in Need Continuing Education Credits for New Jersey or Pennsylvania? Join us for a complimentary dinner and a CE Seminar on Tuesday, April 23rd at Andrea Trattoria Italiano in Millville! 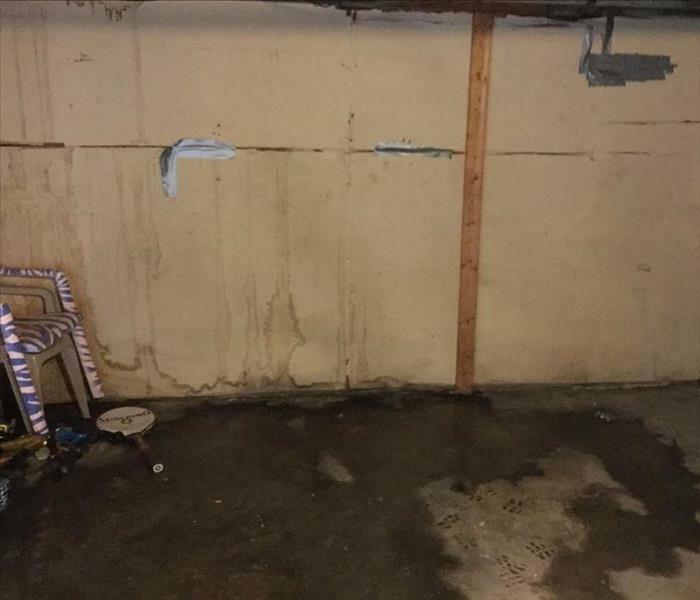 This is a NJ 3 credit course: "Restorative Drying for Loss Control" (same as PA 2 credit course: Restorative Drying for Water Damage) at no cost to insurance professionals! Can't make it on the 23rd? The same class will be offered at Duffinetti's in Wildwood on April 16th! To register or if you have any questions, contact Minerva at marketing@SERVPRO9011.com or call 856-692-0041.